It's me again! I am not slacking off on post, hopefully! Skin care routine is very important to me. My skin type has been constantly due to testing different products. Sometimes, the product will break me out, leaving behind horrible pimple marks on my face. So a good brightening product that can even out my skin tone is a must. Recently, I have been introduce to a new product called "Lancome Dream Tone". 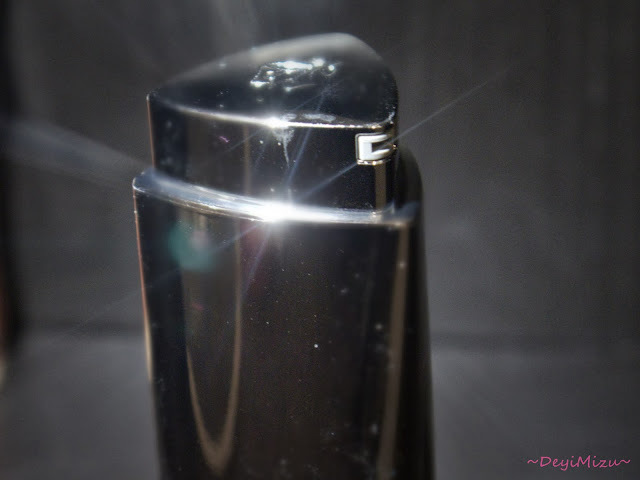 This product claims to even out skin tone and diminish dark spots. According to the people that tried the product, 74% saw immediate glowing skin and 69% saw the appearance of dark spots reduced in just 4 weeks! I am skeptical about this product so I have to try it out myself hoping to see results. 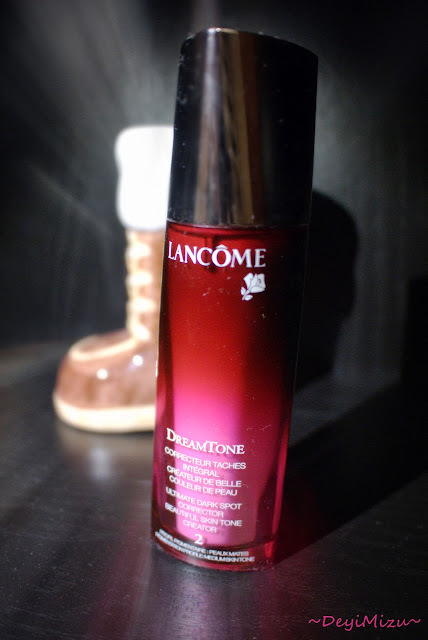 Let's read on to see my experience with Lancome DreamTone! DreamTone comes in three colors: 1-Fair, 2-Medium & 3-Dark. I am testing out 2-Medium as I have medium skin tone. The product comes with a twisting pump, which I think is a wonderful idea! I don't have to lose the cap again! I used this product twice a day after patting on some toner and before my moisturizer. DreamTone is actually a tinted serum! Even though it's a tinted serum, but after you apply it, the color adjust to your skin color like BB Cream. It's a pink-ish peach color with pearl particles. Those particles helps with making the skin glow and even out the skin tone. The scent smells heavenly! It is light refreshing smell to me. After using the product for a few weeks, I have noticed a small difference of my acne mark being reduced around my forehead and mouth area. The redness in my cheeks also looks more even. I have not experience any irritation or break out on my skin after applying the product. My skin tone brighten up and not as dull looking as before. Overall, it's a nice product worth investing in if you have the money to splurge on. I am happy to see results with this product even though it's just a little. Visit Lancome on Facebook, Twitter & their website for more info about this product! Will you try this serum? DISCLAIMER: The product(s) mentioned in this post was provided by SheSpeaks. I am part of the SheSpeaks community but all opinions are 100% mine.